In 2013 the Department of Health released statistics revealing teenage mental health issues were on the rise. Fabulous magazine wanted to do a report about this, and on 16 January sent out an AskCharity journalist request, which resulted in coverage for two charities. Eimear O’Hagan, contributing editor for Fabulous magazine sent the request. She wanted to interview teenagers who were suffering from mental health issues. The request asked for suggestions of case studies, which already had parental consent, details of the teenager’s condition and a recent photo. Rethink Mental Illness and Young Minds responded to the request very quickly. “Both charities provided me with the details of two girls who would speak to us for the interview. They were both very compelling and I knew would be perfect for the article. We also spoke to an expert from Young Minds for the piece as well,” said Eimear. The magazine also sourced an additional case study for the piece. The article was published on 28 April (pages 10 & 11 – page 12) as Fabulous works six weeks ahead of publishing date. Interviews by phone were arranged in February and the magazine arranged a photo shoot for all three girls at their homes. Sometimes magazines will ask people to travel to the studio for a photoshoot, but they will organise and pay for travel. Once the interviews were completed and the article written, Eimear called each of the interviewees and read through their story. This was to ensure the factual accuracy of the information, all media interviews are usually recorded for this reason. What was the response to the article once it was published? The magazine had a lot of interest in this feature from other media. One of the girls who shared her story was interviewed on Daybreak. One of the other girls was asked to do an interview for Sky News but she said she would prefer not to, which was fine. Over the following month the magazine received numerous emails and letters from readers saying they related to the piece. “As a membership charity for people affected by mental illness, we’re always very keen to give our supporters the opportunity to speak out about their experiences in the media. There’s a great deal of stigma and misunderstanding around the issue, so its great when people who have personal experience get the chance to talk about the reality of living with mental illness. 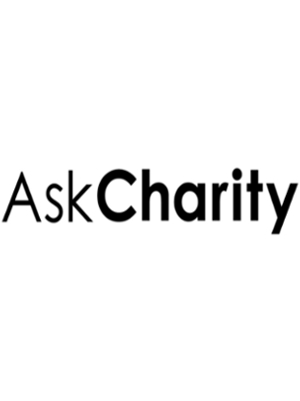 AskCharity is a great way for us to connect with journalists and to find out about opportunities for our supporters to engage with the media. The article in Fabulous is a good example. When I received the request, I knew we had a media volunteer, Katie, who matched the profile the journalist was looking for. I was able to contact the journalist directly to find out more about what she had in mind for the article. I wanted to make sure our media volunteer would be treated with the appropriate sensitivity and care. I also wanted to check the journalist would mention my organisation in the article, so that more people could find out about the support we offer. When I was confident that was the case, I arranged for the journalist to speak to Katie. I think doing the interview was a really positive experience for Katie. It can be very empowering to be given the chance to talk about your personal experiences. She was pleased with the way the journalist handled the interview, and got a kick out of taking part in the photoshoot. For us as an organisation, the biggest result was Katie being able to tell her story, but we also got a plug for the website which helped us reach people we might not have otherwise."